SingularityNET, the global artificial intelligence network that’s helping power the Sophia robot, is partnering with the UNESCO International Bureau of Education (IBE-UNESCO) to teach children around the world about new technologies that will shape the coming decades, Inverse can reveal. The partnership will develop a new form of curriculum spanning the years from kindergarten to 12th grade, aimed at preparing kids for the coming fourth industrial revolution, also known as “industry 4.0.” The organizers plan to pilot the curriculum in six countries, including Ethiopia, with the ultimate goal of ensuring that A.I. and other technologies are not dominated by a tiny group of rich people. Many figures in A.I. warn that developers need to consider these issues sooner rather than later. The IEEE Standards Association has drafted a set of ethics guidelines so designers can consider unintended consequences of their creations ahead of time, avoiding biases like the racist beauty pageant system. A Princeton University study last year also found text analysis machines inheriting human biases. The IBE’s initiative is part of the fourth United Nations Sustainable Development Goal, promoting lifelong learning opportunities and ensuring inclusive and equitable quality education. Goertzel is working on the project with the bureau director Mmantsetsa Marope and Betelhem Dessie, from SingularityNET’s partner iCog Labs based in Ethiopia’s capital of Addis Ababa. The two firms are also working together on using plant images to diagnose crop diseases in collaboration with the Leshan Agricultural Research Institute in Sichuan, China. Dessie has experience with teaching kids about these new technologies. She serves as project manager of the iCog Anyone Can Code initiative, a precursor to the UNESCO project. 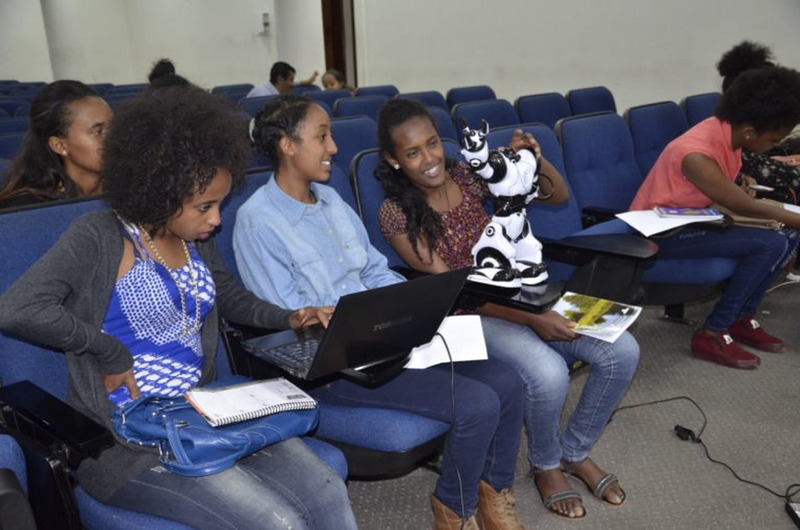 iCog's initiative gave hands-on time with robots. The planned curriculum covers an extensive array of subjects. The organizers plan to cover areas including educational robots, natural language A.I., machine learning to analyze data, blockchain experiments, 3D printing, wearables, smartphone-based bioimaging and numerous more.